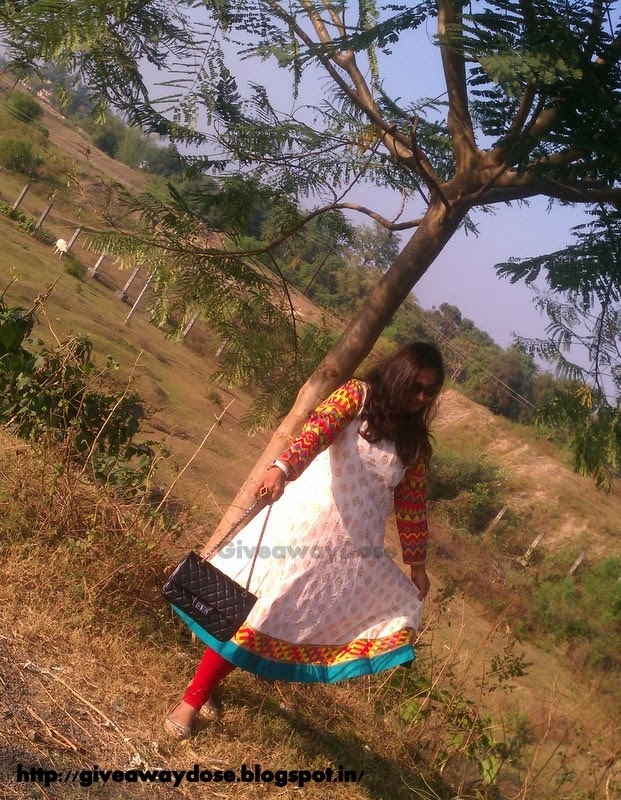 Giveaway dose: Look of the day - Desi Style ( Long Flared Kurti and leggings ) !! 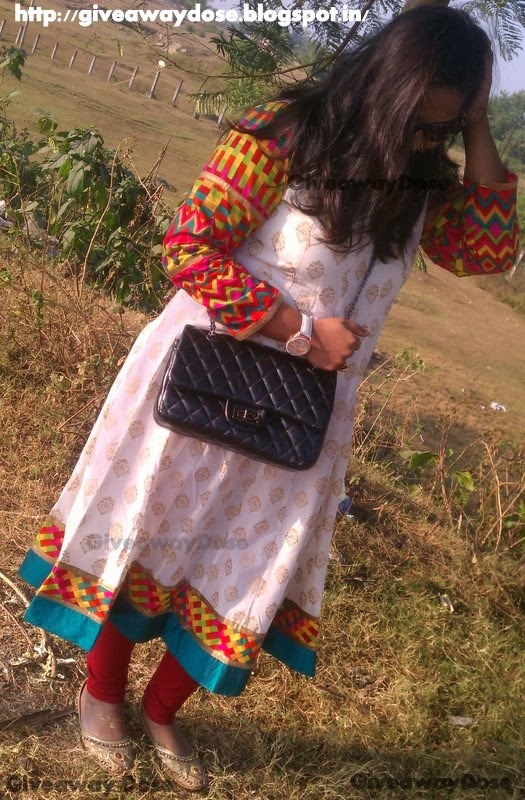 Look of the day - Desi Style ( Long Flared Kurti and leggings ) !! 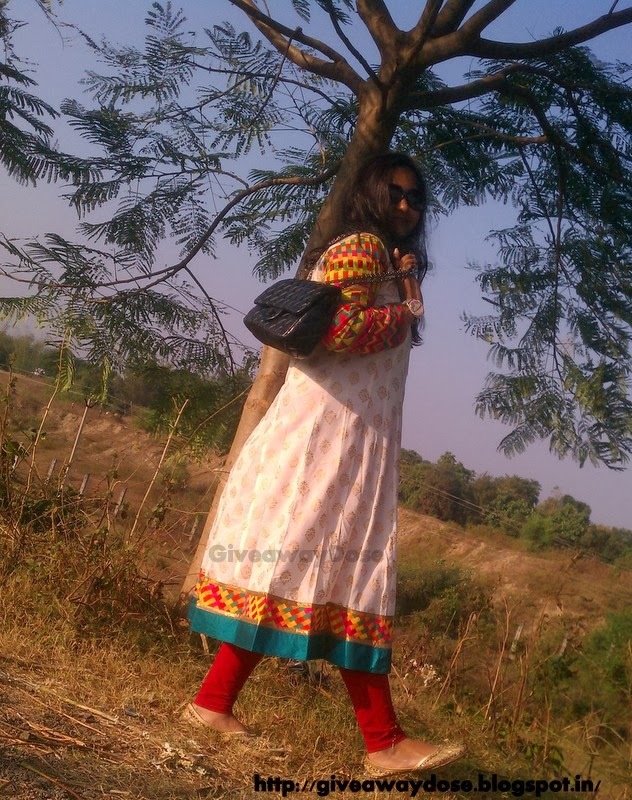 Long Anarkali style kurti and leggings !! 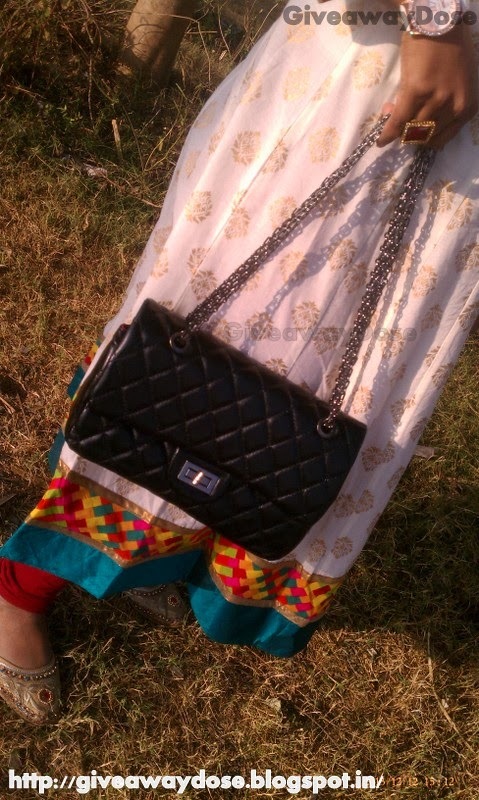 accessorized with a quilted bag,watch,,ethnic ring and jutis !! Love your kurta..n u look wow.